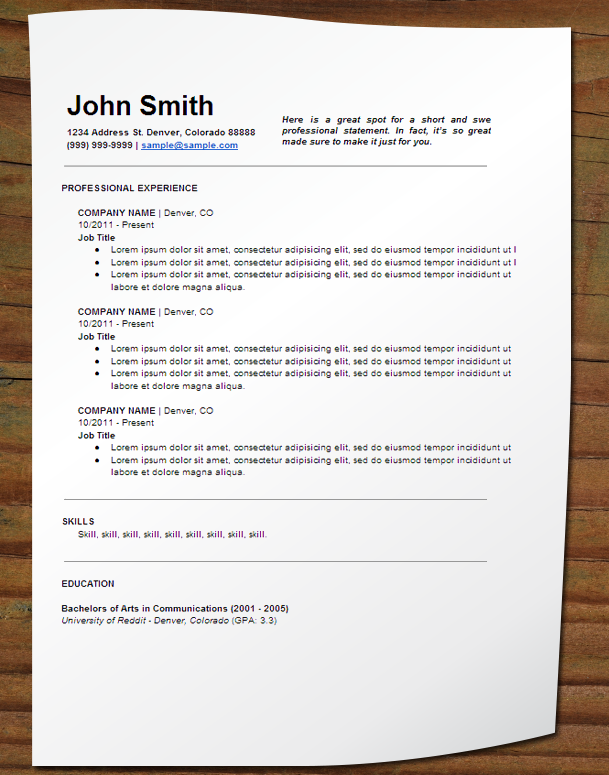 This is a fantastic modern resume that's simple and to the point. There's no funny formatting, easy to use, and really shows that you're up to speed. It also focuses on your work experience, not necessarily your skills and achievements if you're lacking in those departments. This is a fantastic modern resume that's simple and to the point. There's no funny formatting, easy to use, and really shows that you're up to speed. It also focuses on your work experience, not necessarily your skills and achievements if you're lacking in any department.